from the first phone call to the premium paper to the well-protected packaging that arrives on your door. 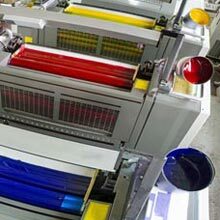 You can rest assured that when you work with PFL you are getting the best printing for your money. PFL provides unmatched value, made possible by our high volume, state of the art manufacturing operations, and friendly expert staff. 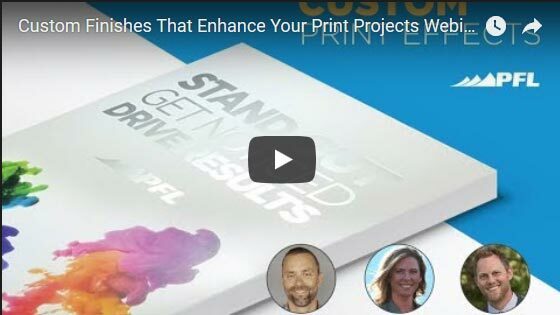 How to pick the best paper for your print project with descriptions of paper types, finishes, weight, thickness, and coatings. Paper choice is maybe the single most important decision you'll make when it comes to creating a great printed piece. 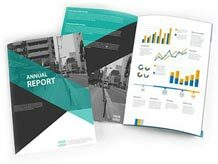 What you need to know about bleed, color, image resolution and formats, folds, binding, exporting and more to correctly prepare your graphics files for successful commercial printing. 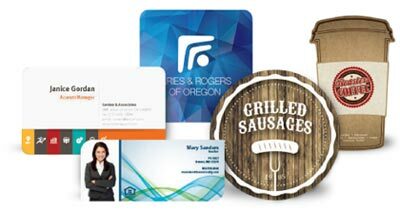 A bunch of innovative ideas for direct mail pieces, brochures and business cards using custom printing options. Examples of a mini-table tent, a brochure with graduating pages, a window die cut, a clear plastic business card, a "wallet" mailer (shown) and much more. Call our experts at 800-­930-2423 for a quote on custom options. "I've done clients' commercial printwork for 30 years, most locally, and the service I get from your team is as good or better than the local shops I've dealt with over the years. Your team is friendly, helpful, not rushed and responsive." "I was very impressed with your professionalism, service orientation, and attention to detail. I've dealt with a lot of printers over the years and from a customer perspective, PFL is the best overall that I have seen."